Viherapaja is gardencenter in Helsinki. 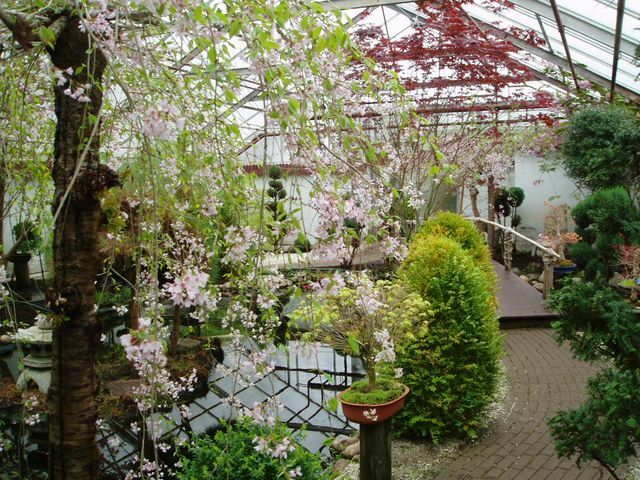 There is japanese garden in one of they glassrooms. 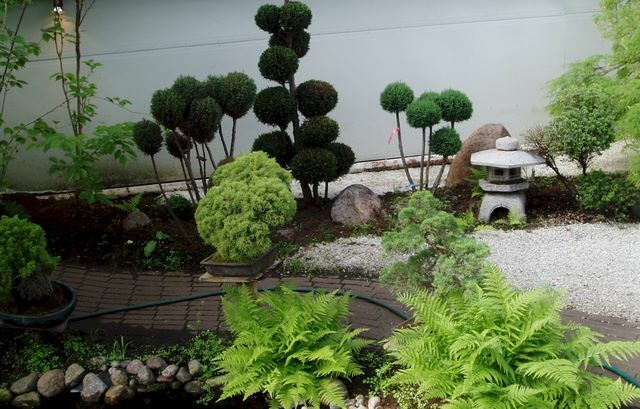 Japanese garden was built v.1985-1986 aims to show how beautiful details of nature can be transferred to an artificial environment, and they form a beautiful, harmonious whole. 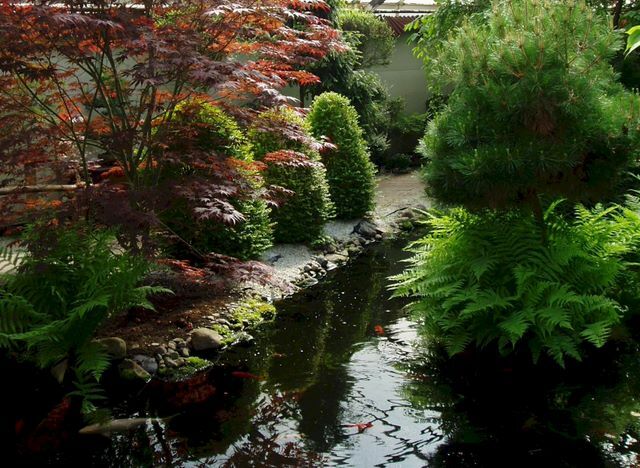 Japanese garden seeks to bring people's attention completely. For a moment I can forget the world around rush and relax while listening to Japanese music. Cherries brilliant flowering time is between March and early April. First, an outbreak of Prunus kiku sakura-sikare that blooms arch bridge site. Its former glory after the outbreak of Prunus serrulata Kanza with large multiples of pink flowers. Botanical gardens have been acquired from around the world. Fish is flown to Japan. Air temperature and humidity throughout the year following the Tokyo metropolitan area equivalent values in Japan.